We were so stoked to be a part of the Lovesick Expo at Ambient + Studio yesterday in partnership with Offbeat Bride alongside our entire Far Out Galaxy team. 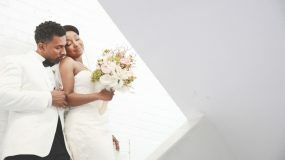 Click here to see a peek into our mini session with Ariel Stallings, the woman behind Offbeat Bride. Enjoy this sneak peek into the expo yesterday, where Atlanta Burlesque performed!